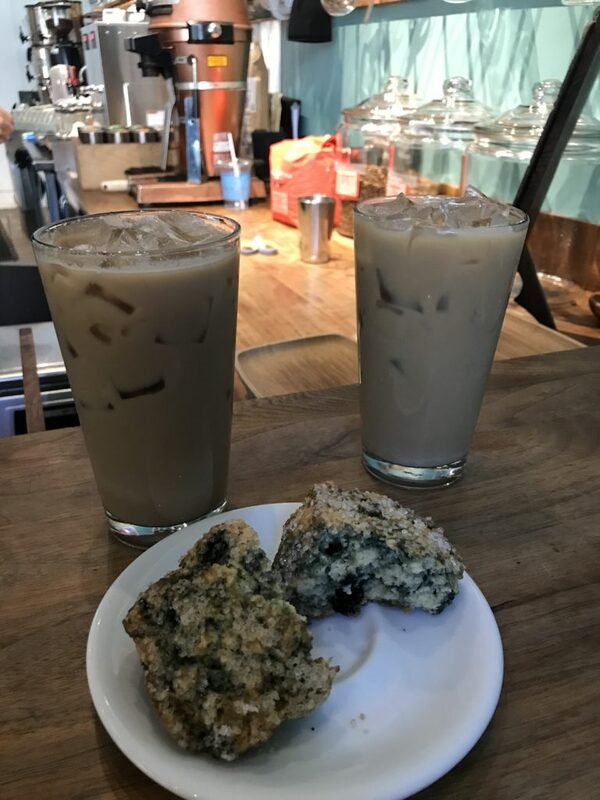 Intelligentsia Coffee: Intelligentsia Coffee started in 1995 with one location in Chicago and now they have six Coffeebars in Chicago and Coffeebars in Los Angeles, New York City and Boston. We had an iced latte with the Black Cat Project Espresso. And it was hands down one of the best iced lattes we've ever tasted. The espresso was smooth and the iced latte was served in a chilled glass. We both commented that we could drink one of their iced lattes each and every morning. 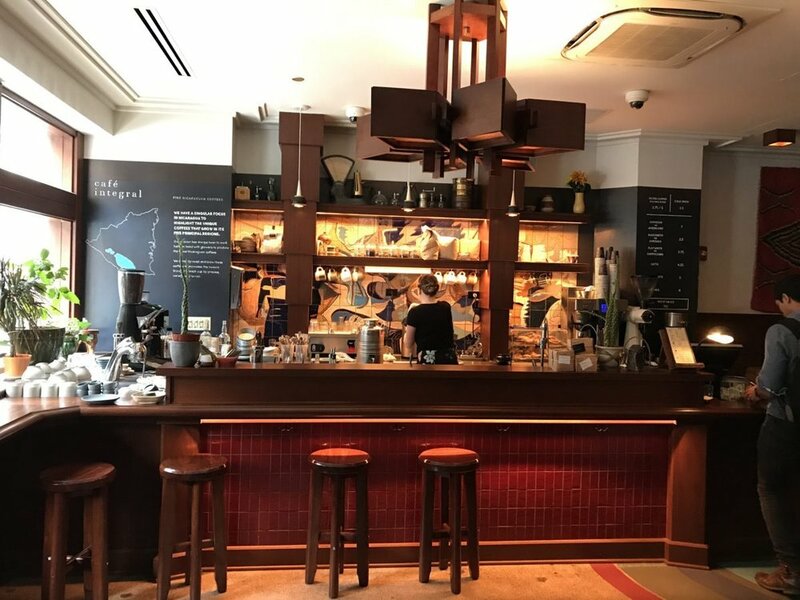 La Colombe Coffee Roasters: La Colombe has quickly gained national attention over the past several years and remains one of our favorite coffee shops in the United States. You've probably noticed their Draft Lattes available in cans at your local grocery store. Well you can get that same Draft Latte on tap at any of their cafes (they have five in Chicago). La Colombe's Draft Latte features real cold-pressed espresso, no added sugar, perfectly frothed milk and a truly textured microfoam. And it's delicious. Of course they serve up your regular coffee drinks including regular lattes. Needless to say if you are in Chicago, a trip to La Colombe is a must. Cafe Integral: Another Chicago favorite is Cafe Integral which features exceptional Nicaraguan coffee. Cafe Integral started their coffee business in New York City in 2012 and added the Chicago Cafe in 2015. They source coffees from four of Nicaragua's finest regions and their coffee is known for it's characteristic depth and balance but also it's dynamic and complex profiles. Cafe Integral is located in the Freehand Chicago Hotel on E Ohio Street. Pickwick Coffee: Finally, on our last afternoon in Chicago we took a stroll down to a newer player in the Chicago coffee scene, Pickwick Coffee Roasters. They recently opened a second coffee shop on East Jackson Street and this second location for Pickwick Coffee looks like it is straight off a cobblestoned Roman alley. The location, tucked away at the end of the alley, is absolutely breathtaking. The "coffee alley" offers a relaxed retreat to enjoy some coffee in what is otherwise a hustling and bustling city. And their Cortado Latte with a hint of cayenne is definitely worthy of a try! 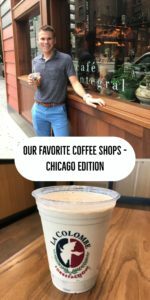 So the next time you are in the Windy City, you can drink your way through the city with delicious cups of coffee!